This one’s for all the lovers of designer furniture. Who knew that a safe and reliable high chair could actually complement the furniture you already have? It’s no wonder the SUPAflat baby high chair won a prestigious Red Dot Award for product design. That’s a German design award for those wondering. You know, creators of the not-too-shabby Mercedes-Benz, BMW and Audi. Need I say more? Okay, I’ll just say a little bit more. Because it sounds like this highchair is pretty savvy to operate too. 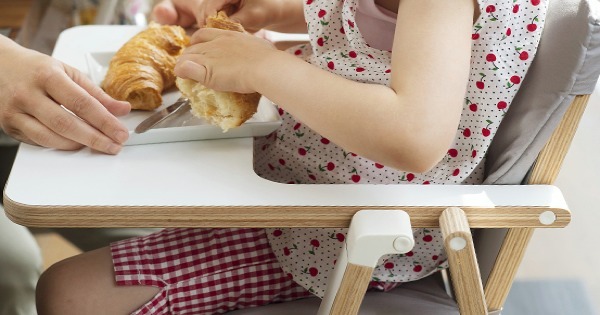 It has a single handle to open or close the entire highchair (one handed items – every parent’s dream!) and once folded up, the highchair is only four centimetres thick. Really, it is. So you can just slide it inconspicuously behind the couch or door when the kids have gone to bed and you want to have friends over. Although, I’m kind of thinking it’s one of those items you’ll want to keep out and show off. Red Dot Award and all that. You’re also spoilt for choice with a few different colour options to choose from. The cushions (yes, cushions! How comfy for bub) come in brown, grey or brown crème. 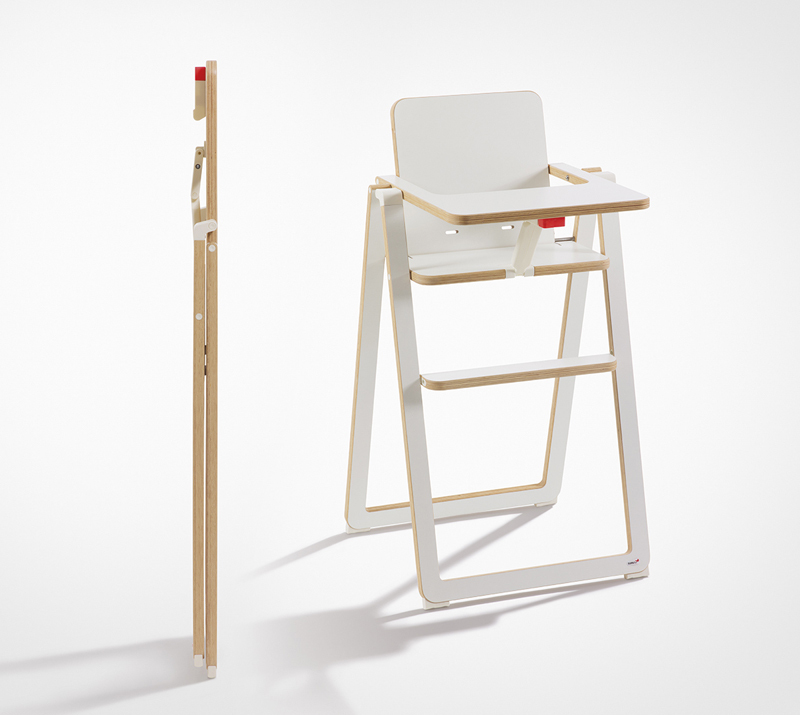 And the highchair itself is available in white or a natural wood finish. Each component and the unique mechanical design of the SUPAflat high chair has been certified for safety, reliability and durability by TÜV, an internationally recognised certification standard. The recommended age for SUPAflat is from six months to three years. And, while it’s not on display in the photos, a safety harness is also included with the product. The SUPAflat high chair costs US$221 and can be purchased online at Family Nation. 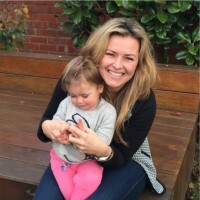 (It was only released in August last year – by Austrian company Smiling Baby – so there are no Australian stockists just yet.) Find out more over at SUPAflat.